I was a stuttering bookworm in grade school, a wallflower with two left feet in high school. Who knew I would suddenly attain Cool-dom this late in the game? Your advice to future leaders, Marivi, is something I would like to quote given the right opportunity and, with your permission, share with the techie generation. 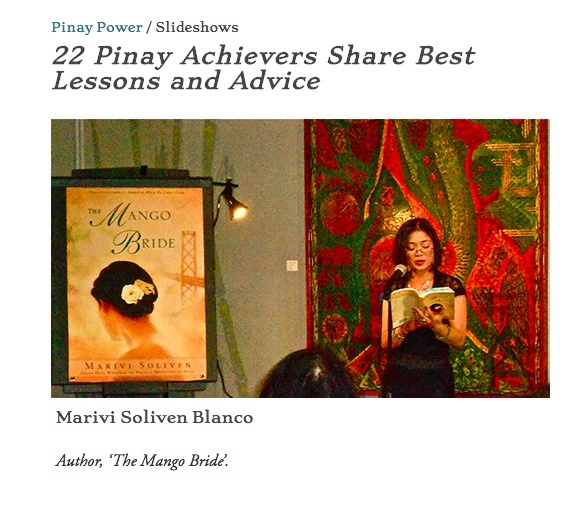 That way, your readers can access more information about The Mango Bride. Thanks!